Selecting a new DSLR can be really overwhelming, especially if you’re a first time buyer. Not only do you have to decide between brands, but then you have to decide between models, lenses, and accessories – all of which can lead to a daunting experience. That being said, the goal of this post is to help make that decision a little bit easier. 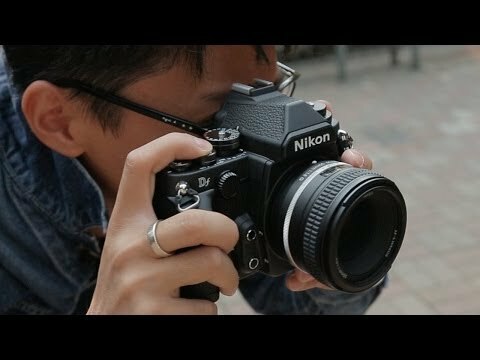 I’ve been shooting Nikon since I first got into DSLR photography about 5 years ago. When I bought my first camera (a D5000), the decision was a relatively simple one: my dad had some Nikon lenses and I didn’t have much money! Now a few years later I’m as happy with that decision as ever. Nikon’s consistent lens mount size over the years allows you to use lenses going back to the 70s and 80s on many of Nikon’s newest DSLR bodies – meaning you can get quality used glass, at a relatively inexpensive price. That’s a conversation for another day, however. The bottom line is, you’re going to get a great camera with an excellent assortment of lenses with either Nikon or Canon. If you have friends or family members that shoot one or the other, and you’ll be around them often, that’s a good enough reason for me to choose either brand. But since I shoot Nikon, today’s post is all about how to select the best Nikon camera for you! 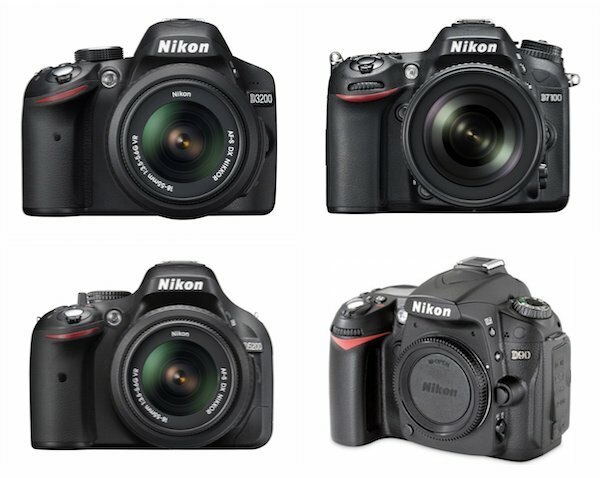 At the time of this writing Nikon has 4 cameras that you may be deciding between: The D3200,D5200, D90 or D7100. These are the most up to date models, and in some cases you may be considering one that’s a generation older in order to save money – we’ll talk about that. However before we start going into the individual models, I’d rather start out by listing a couple things that you should absolutely stop paying attention to – by doing so, you’ll make your decision a lot easier. Chances are if you haven’t bought a camera in a while, the very first thing you look at when selecting a camera is the megapixel count. These days any new camera will have more than enough megapixels for what you need. Even one on the lower range that has 10-12 will have enough detail for you to blow up your images to poster size with no major issues, and seriously, how often are you doing that? It may be nice to have the flexibility, but once you hit 24 megapixels the files sizes are huge. On my D7100, I rarely, if ever, shoot at the highest quality level, simply because it just isn’t practical. New to photography? Then you don’t even look at a full frame sensor. In other words, for a Nikon camera you can immediately stop paying attention to the D600, D800, or D4. They’re big. They’re expensive. And unless you’re a professional shooter, they’ll be overkill for what you’re looking for. So save your money for some new lenses and stop thinking about those altogether. To help set your mind at ease even more, you should know that Nikon’s cheapest DSLR the D3200 has image quality that in most shooting situations will be close to as good as that on their most expensive camera, the D4. Most of what you’re getting with more expensive cameras is more options, on camera controls, and other things professionals need and you probably don’t. This may matter for a select few of you, but for most of you, it should be a non-issue. Bottom line, have you ever actually shot video on a DSLR? Most beginners haven’t. It’s not easy. The sound is awful, the auto-focus doesn’t work in a usable manner, and it’s nothing like using your phone or a camcorder. If you want a good camera that does video, check out a pocket camera like the Canon S110 – which shoots excellent video and is easy to use. If you know what you’re doing and have some extra gear, then a DSLR can be a great way to break into a more professional video setup. But if all you want to do is film your kids, you’d be best looking elsewhere. Does that all make sense? Great, glad we’ve got that cleared up. Now, let’s get you a camera! Rather than regurgitate all the technical specs of each camera for you, I’m going to look at the different type of users of Nikon cameras and then help you find a camera based on what you identify with the most. Best Photo Quality at the Cheapest Price Possible? As I mentioned earlier, for most applications, in good light, the quality from an entry level DSLR will rival that of their more expensive counterparts. So if all you really want is good image quality and aren’t wanting to break the bank, then pick up the Nikon D3200. If you’re really concerned about price, you can probably find refurbished models, or the olderD3100 which is still a great camera. If you go with that, you’re sacrificing some build quality from the higher end cameras, and the screen is a much lower resolution than the newer model.